We're a San Francisco Pedicab Company. 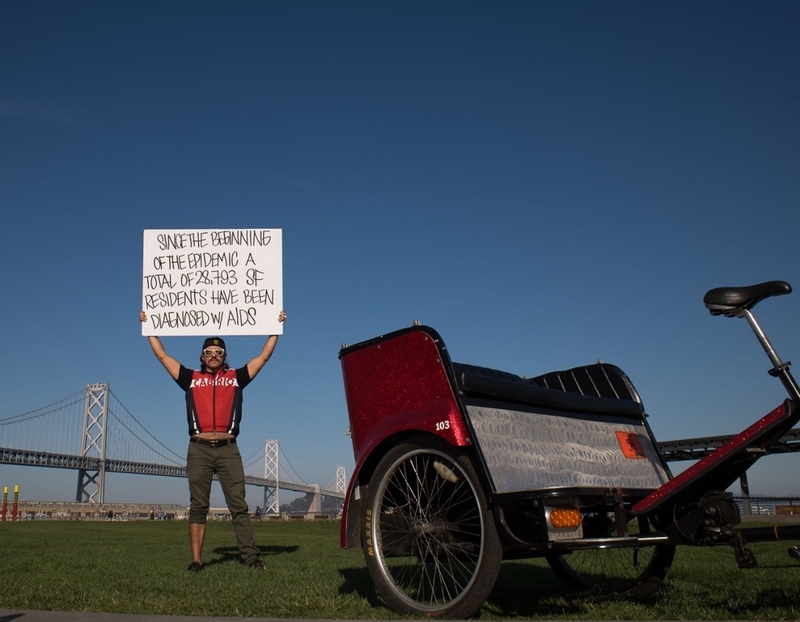 Founded in 2011, Cabrio Taxi is the premier pedicab company in San Francisco. We offer the boldest, most stylish pedicabs, which are driven by the most professional drivers anywhere. As our company continues to grow, we hope to continue to be a positive force in shaping our community. 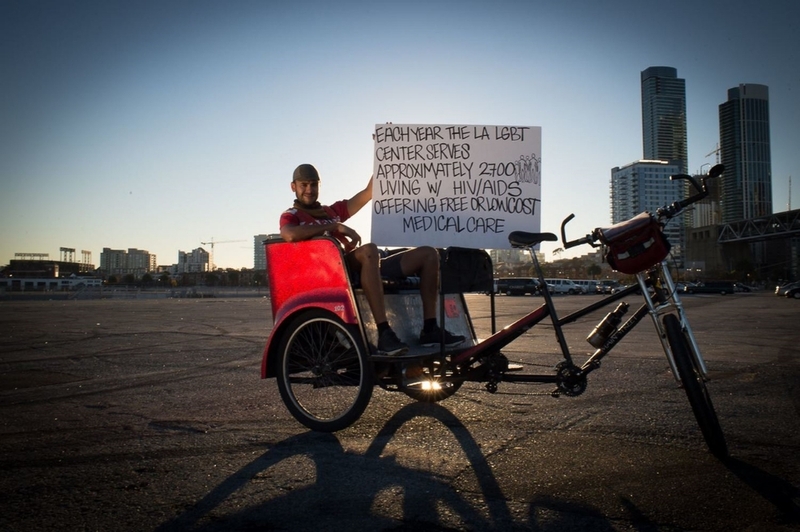 We provide our passengers, advertisers, and partners with an unparalleled pedicab experience. Responsibility, reliability, and safety are our mantras. Our reputation as a full service pedicab company is unsurpassed. We use American made Main Street Pedicabs that we customize for the best ride San Francisco has to offer. Cabrio Pedicab professionals can handle the job. Whether you need our pedicab advertising services, an organized tour or just a pleasant ride on the thoroughfares of San Francisco, we would love to have the opportunity to help you with your transportation needs. Cabrio Taxi's Founder Geoff Abraham (R) with Bill Cummings (L), Cabrio Taxi's hero & first pedicab operator. I came to San Francisco to jockey between desks, taxis, and planes, to move numbers around excel cells, to make pretty presentations that distill information, and to create “value through insight”. I ended up riding people around the city on a bike. I imagine you can fill in all the color yourself — the pointlessness and pressure of the corporate grind versus the freedom of the open air, and the satisfying fatigue from a long day’s work. What’s most exciting to me about putting shiny red bikes on the streets of San Francisco is the prospect of “creating something beautiful” — building a company that is not merely sustainable, but offers an aesthetic and experience. Out in SF we seem to live in a time and place where feeling good about what you do and how you do it is as elemental to the notion of success as growth points. I believe riding a red bike in SF can be one of most appealing jobs in the States. Why not? We are in a unique position to make it so, with opportunities for campaigns, events, tours, and lots of untapped riding locations. My full intention is to imbue our chosen profession with the integrity I feel my riders deserve. And to make something beautiful in the process. I believe in the dignity of human labor. I believe humans aspire to freedom. I believe in responsible action. I believe hard work ought reap just reward. I believe the human spirit is growth-oriented. Cabrio Taxi glorifies the freedom and dignity [reverence] of the pedicabber, and enables both the pedicabber's and pedicabber community's flourishing [stewardship], so that San Francisco can fall in love with all that pedicabbing can be [prosperity] for many years to come [self-actualization]. We put our legs to good use. In June of 2016, Cabrio Taxi celebrated 5 years of serving San Francisco by partaking in our 3rd AIDS/Lifecycle ride. 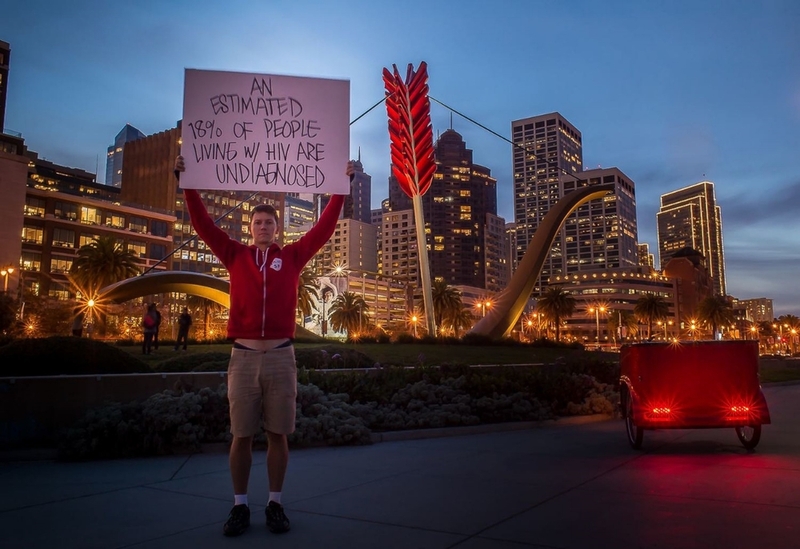 The 7-day, 545-mile landmark bike ride from San Francisco to Los Angeles, raises money and awareness in the fight against HIV/AIDS. We also participated in 2013 & 2015. 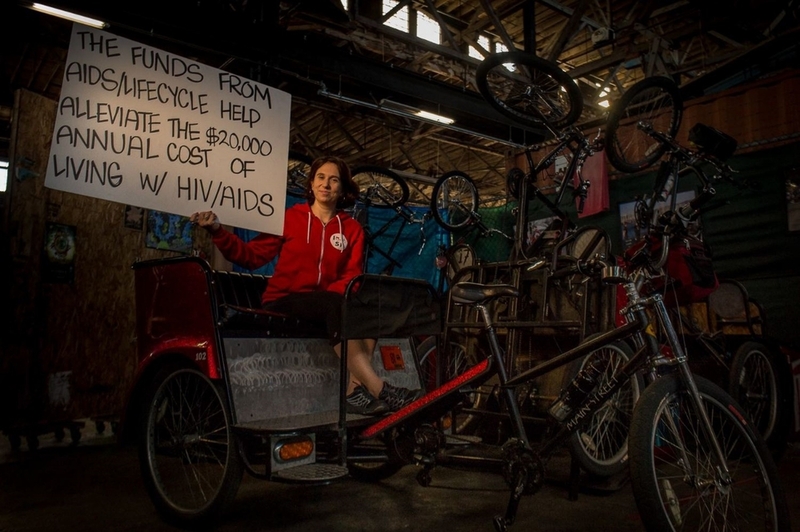 To date, the Cabrio Taxi team has proudly raised $85,000+, and ridden 20,000+ miles training and riding for the AIDS/Lifecycle cause. I hope that we can raise $100,000 sum total this year, which would be a proud feat for my small business. 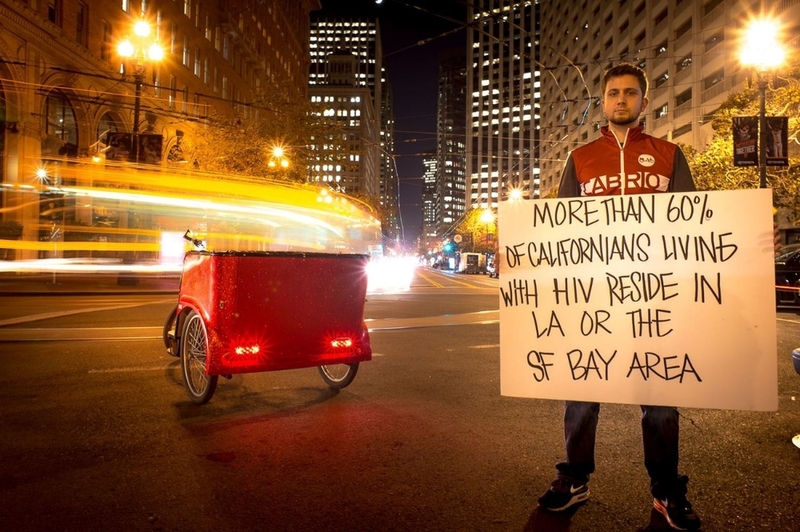 The story of HIV/AIDS begins with confusion, shame, and traumatic loss for a tight-knit community of disenfranchised people. But the story is ultimately one of empowerment -- now ending in medical victories -- that highlights the valor and resilience of human beings. It gives me a deep sense of pride to contribute to this cause, which is a part of this City in which I live and do business -- to, as a founder, join in the community’s spirit as well as its economic activity. To do this through support of loved ones, friends, and family makes it all the sweeter.